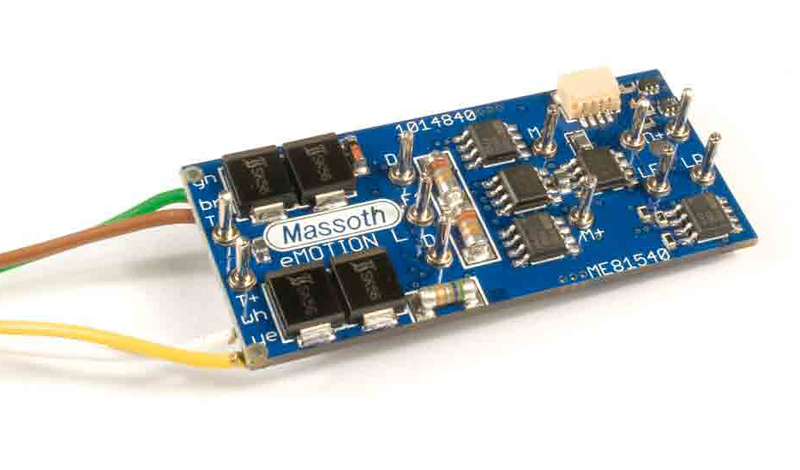 The Massoth eMOTION M decoder is an ultra-compact, 2Amps driving and function decoder designed for installation in exceptionally small locomotives. 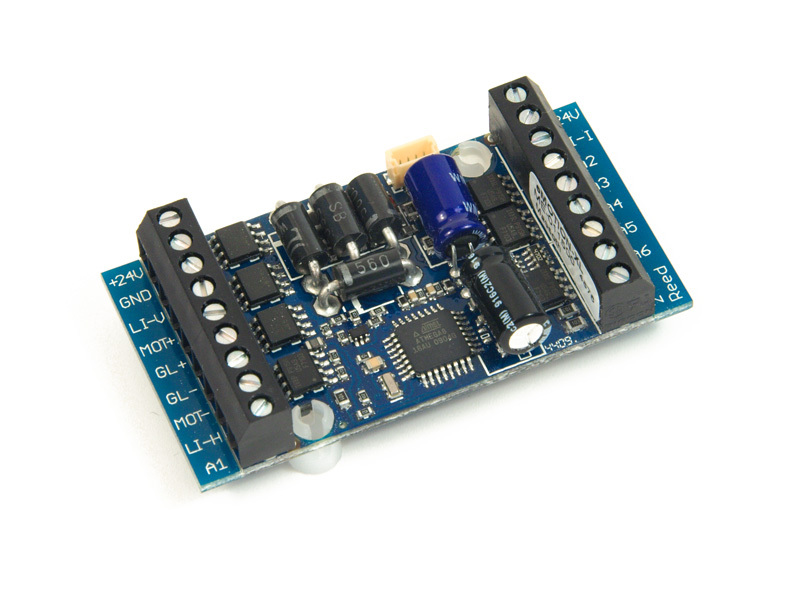 The M decoder features selectable 14/28/128 speed steps, 2 light and 5 function outputs, analog and digital operation, digital and analog Back EMF, overload - overheat protection for motor and function outputs, and a Massoth-SUSI interface. 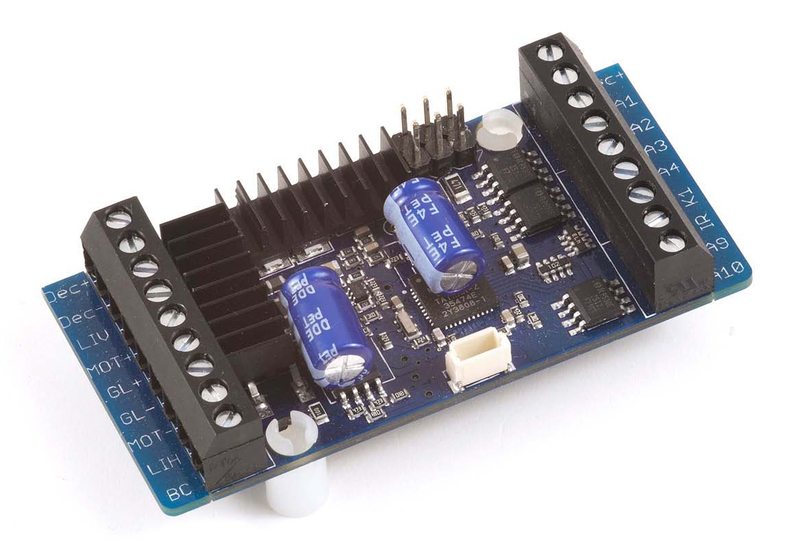 The L decoder features selectable 14/28/128 speed steps, 2 light and 6 function outputs, analog and digital operation, digital/analog Back EMF, overload - overheat protection for motor and function outputs, and a Massoth-SUSI interface. 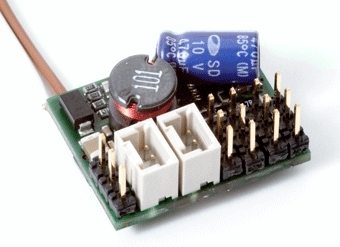 The Massoth eMOTION XXL II decoder is a small 10.0Amps driving and function decoder. 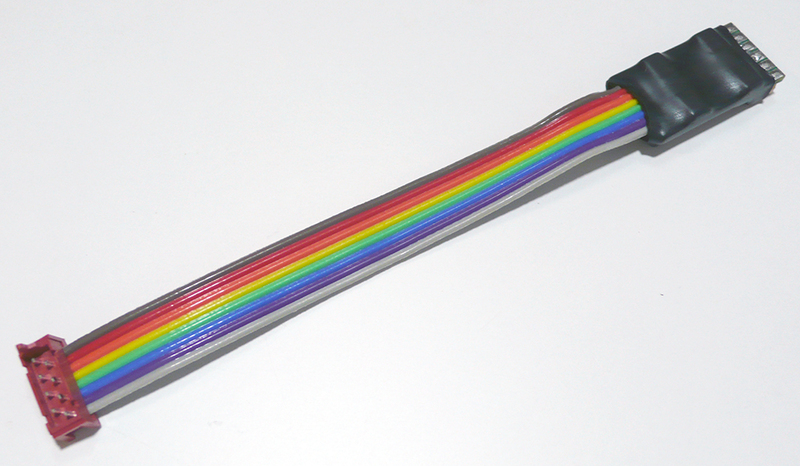 It is capable of handling a continuous motor load of 6.0Amps with a peak load of 8.0Amps. The XXL II decoder features selectable 14/28/128 speed steps, 3 light outputs and 10 function outputs with a maximum total load capacity of 2.0Amps, 1 contact input, 2 servo controls, analog and digital operation, digital and analog Back EMF, and a Massoth-SUSI interface. Operating the XXL II decoder with an additional power buffer increases its dependability: brief track power disruptions are bridged in analog and digital operation and contaminated tracks and switch frogs are negotiated without any speed changes or interruptions. 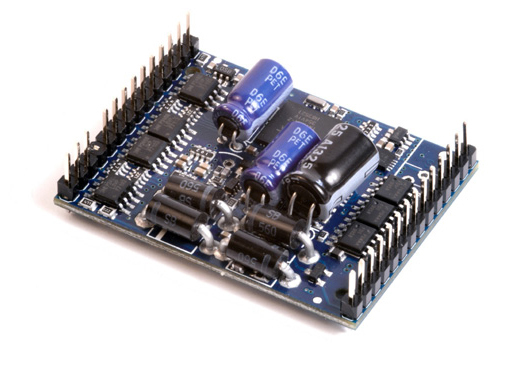 The Massoth eMOTION 8FL decoder is a miniature function decoder, featuring 8 function outputs, each with a maximum load capacity of 500mAmps, and a total combined load capacity of 1Amp. It can handle servos, Massoth motor drives, Massoth uncouplers, light bulbs, and LEDs. Light and function outputs are dimmable and can be activated in analog mode. 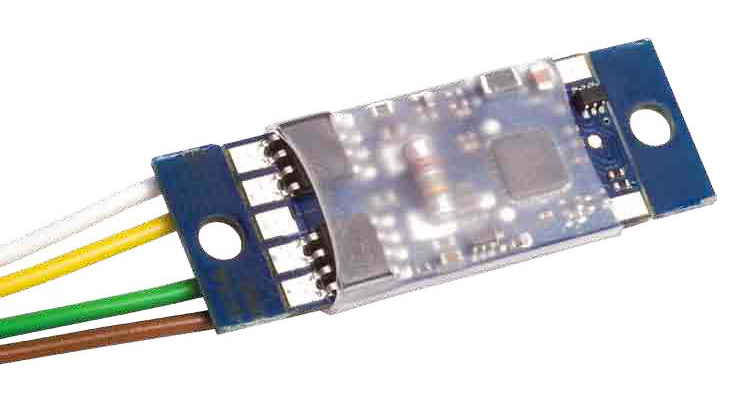 The 8FL features two programmable high resolution function outputs for RC servo control permitting standard and precision servo push button operations as well as servo operations with speed steps.